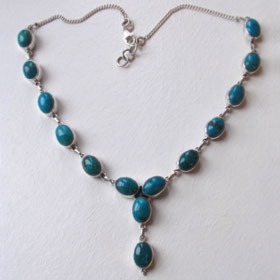 Chrysocolla necklace in sterling silver. 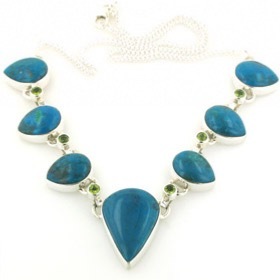 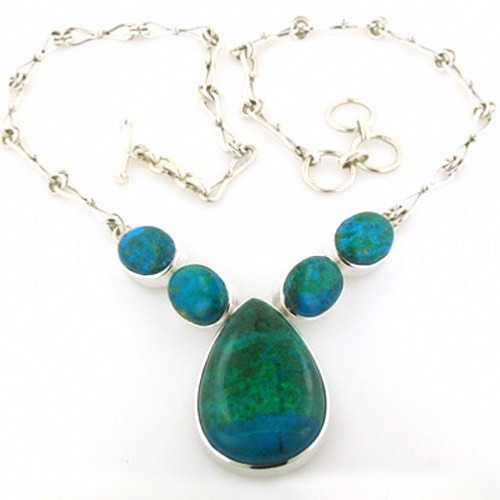 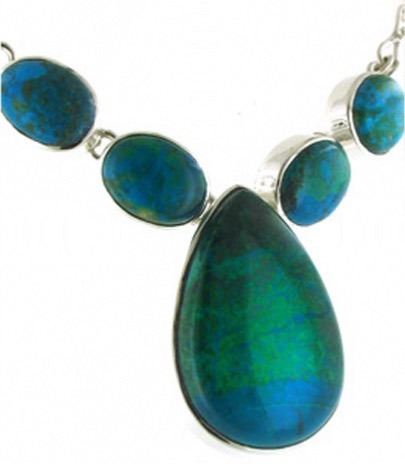 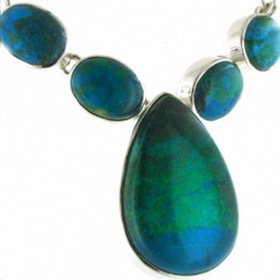 This fabulous chrysocolla necklace features large, top quality chrysocolla gemstones set into chunky sterling silver. 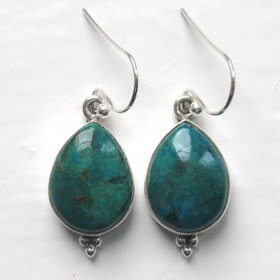 Chrysocolla has vivid shades of turquoise, kingfisher blue, emerald green and lime with occasional rust and black. 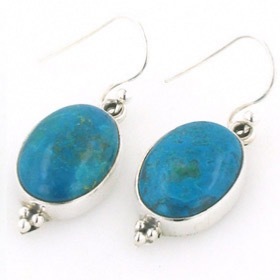 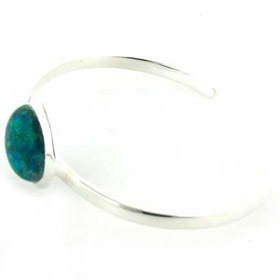 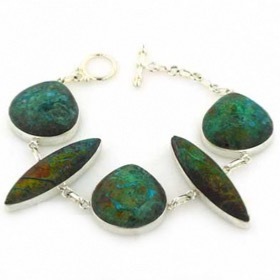 These polished chrysocolla stones shout gorgeous rich colour. 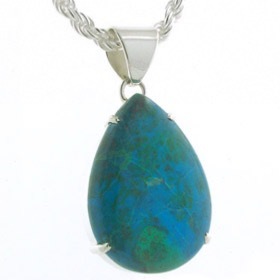 The hand made chain is a unique design and balances the stones perfectly. 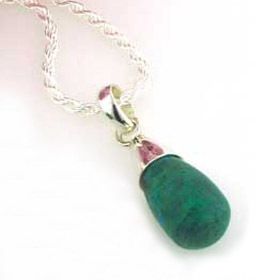 The necklace closes with a toggle fastener and has extra rings for length adjustment. 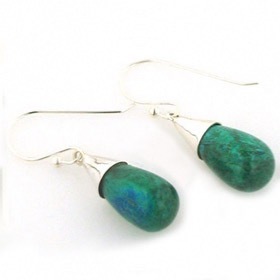 See our chrysocolla earrings to make up a set.